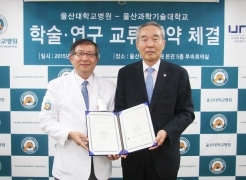 On July 10, UNIST signed a Memorandum of Understanding (MOU) with Ulsan University Hospital (UUH), one of the best hospitals in Korea to pledge mutual support for one another in the pursuit of excelle..
UNIST to Showcase Compact Way to Monitor Pollu..
Air pollution is the world’s biggest environmental threat to human health because finding answers to how the extract source of air pollution is interacting in the air and how it is dispersing h..
Late Professor, Remembered for Kindness and De..
Prof. Yoon Kyung Do, her beautiful spirit will live on in our hearts and memories forever. 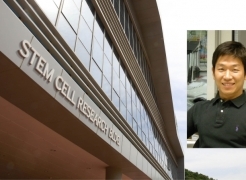 Sunday, July 5 marks one hundred days since the passing of a beloved professor in the School of Nano-Bioscience and Chemical Engineering at UNIST. 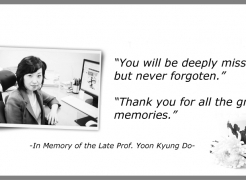 Following the sudden passing of Prof. Yoon Kyung Do i.. 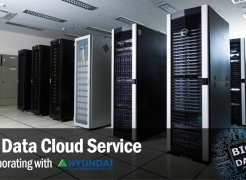 Cloud computing services have become a game changer for every Small-Medium Enterprise (SME) in the current global business market, as it promises to help businesses work smarter. Indeed, the technolo..
UNIST to Propose a New Disaster Risk Reduction..
Unpredictable forces of nature, like the recent earthquake that hit Nepal can have a devastating impact on humans and our environment. 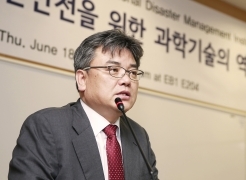 On June 18, Shim Jae Hyun, President of National Disaster Managem..
International Students Being Made to Feel at H..
UNIST, aiming to be a leading global research in the fields of advanced science and technology, is proud of its diverse, global campus community. 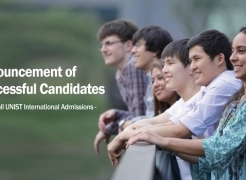 In selecting the Class of 2019, achieving diversity wa.. Exclusive Partnership with MPG Targets Stem Ce.. In January of 2012, Max-Planck-Gesellschaft (MPG) and UNIST signed a partnership agreement that involves creating a joint laboratory. The two institutions have promised to combine their expertise i..
4th International Symposium on Environment Kic.. The 4th International Symposium on Advanced Materials for Energy & Environmental Issues (ISAMEE) will be taking place from the 4–5th June, 2015 in the Auditorium of UNIST. This special event w.. 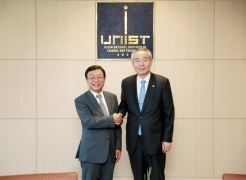 Investing in the Next Generation of Young Scie..
On June 03, UNIST and Ulsan University have embarked on an innovative partnership to pledge mutual support for one another in the pursuit of student development and research excellence. President Yeo..
UNIST to Host International Symposium on Genom.. 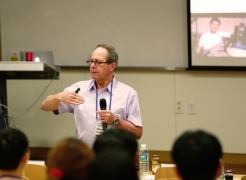 World-renowned experts in genomic integrity convened on May 27 at the Low Dimensional Carbon Materials Building of UNIST to discuss the current challenges and opportunities in genomic research and m..